14K SOLID GOLD: This product is made of solid 14K gold and each piece is carefully trademarked with the metal purity for certification. Each piece is stamped 14K or 585 and guarantees the quality and craft. DESIGN & FINISH: Made of the highest quality, our high polished jewelry is carefully designed to offer intricate style with maximum durability and comfort. 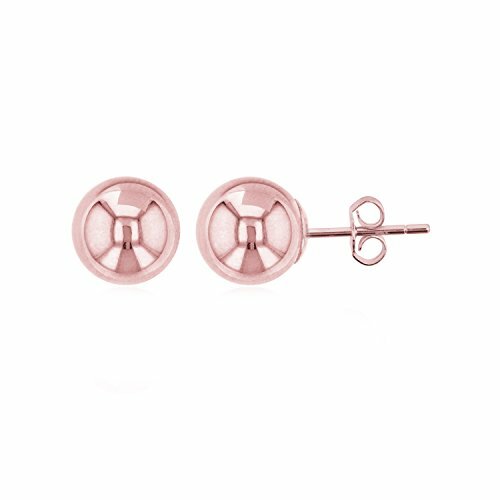 PERFECT FOR ALL OCCASIONS: With its clean and classy look, our earrings can be worn for a casual everyday look and it can complement a more upscale outing. SIZES & COLORS: This item is available in Yellow, White, and Rose Gold ranging from 3mm up to 10mm. We also offer these items in a variety of packs. Grab them while supplies last!